Doesn't look too promising for early-mid season activity. However as we saw just last year that doesn't mean much. 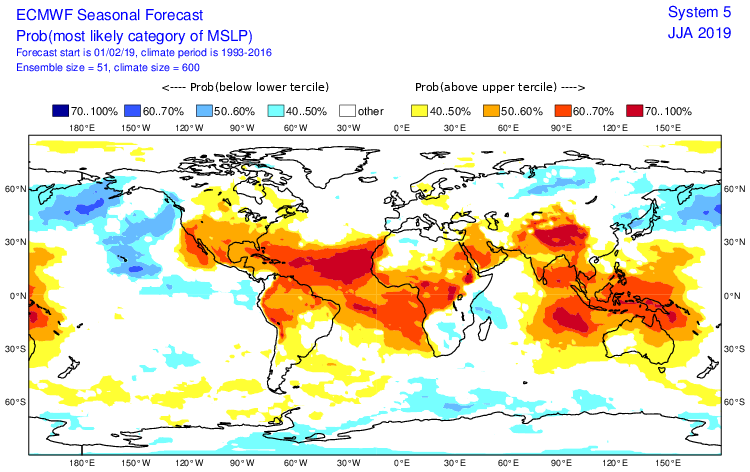 cycloneye wrote: ECMWF Febuary update of MSLP for June,July and August. When was the last time ECMWF showed below normal pressures over the Atlantic during the season? I'm pretty sure it has shown above average pressures every year since 2014. 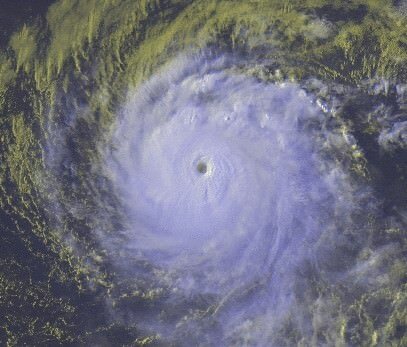 However it has a higher chance of verifying this year due to the possibility of El Niño. Damn, looks pretty bad for me. ECMWF pretty much says that every year and is usually wrong, to be honest. A simple glance at Nino 3.4 current trends and the NMME 3.4 model forecasts are enough to tell one how badly they're already doing at predicting the ENSO this year. Nino 3.4 would have to do a hard turn indeed right now to match any of the predicted model outputs. I think this year will be dead on neutral. 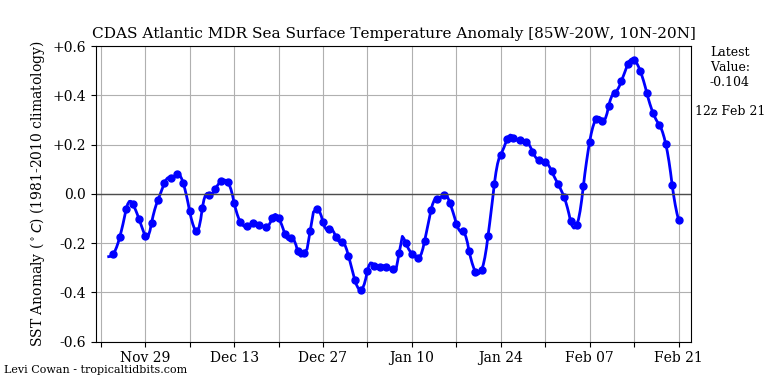 The warm uptick of the past few weeks in MDR are litterally over for now. 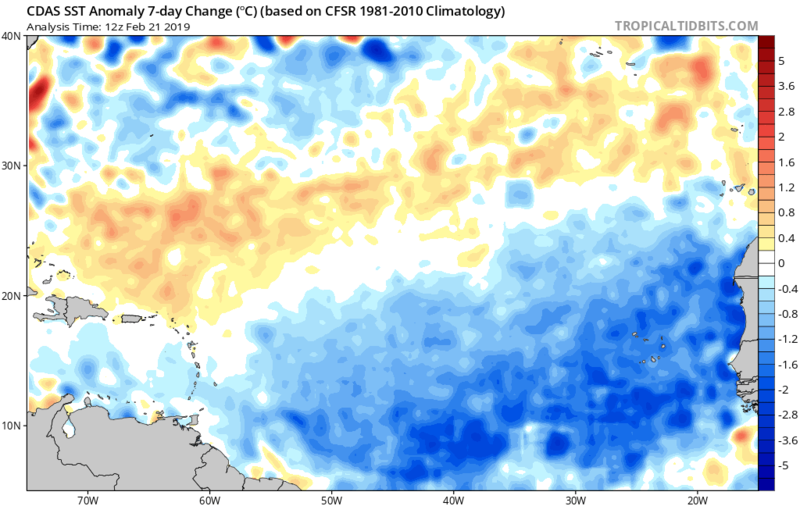 Strange how the CDAS looks nothing like the Noaa/NESDIS SST anomaly map. Huge difference here. The NOAA/NESDIS map is warm biased because I think it uses a base period during the 1980s/early 1990s for its anomaly. However, the CDAS charts on Tropical Tidbits are noisy/prone to sharp changes and the sharp SSTA drop in the Atlantic MDR may just be temporary. Right now there is a good deal of SAL in MDR if you look at the graphic at first post. Hey Luis, just a thought. Any consideration to open up the Annual 2019 Atlantic Season Activity Prediction contest earlier this year? 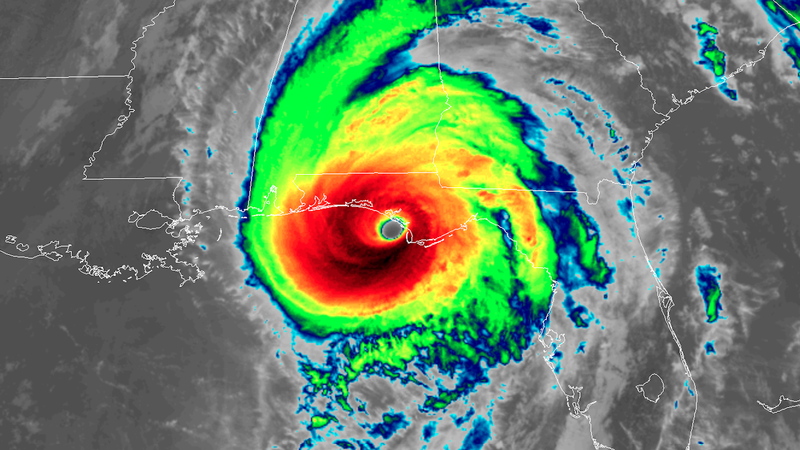 Just throwing in my own vote for it given our eventual increase in discussion about the so many forecast and changing factors (ENSO, SAL, SST's, wind patterns, African rainfall, etc) as we move deeper into Spring and start eye-balling June 1st. Also, seems that we've lately seen an increase in sub-tropical development to the point that nothing would totally surprise me in terms of early baroclinic transformative development in some point within the Atlantic basin. chaser1 wrote: Hey Luis, just a thought. Any consideration to open up the Annual 2019 Atlantic Season Activity Prediction contest earlier this year? Just throwing in my own vote for it given our eventual increase in discussion about the so many forecast and changing factors (ENSO, SAL, SST's, wind patterns, African rainfall, etc) as we move deeper into Spring and start eye-balling June 1st. Also, seems that we've lately seen an increase in sub-tropical development to the point that nothing would totally surprise me in terms of early baroclinic transformative development in some point within the Atlantic basin. Announcement: I will start the 2019 S2K poll on April 15 instead of May 1. I know that date is after the experts TSR and CSU forecasts are going to be released but I dont think being those out there are the most important thing the members base their individual numbers.